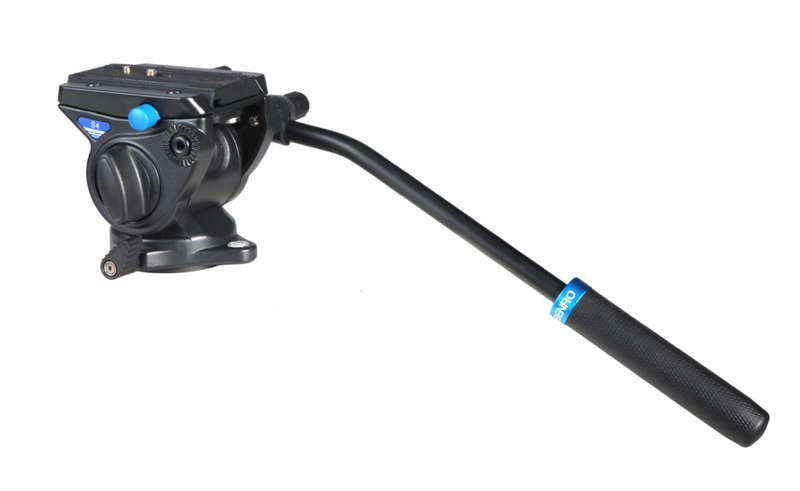 Compact and lightweight, the magnesium Benro S2 Series Video Head with flat base and 3/8” threaded mount is ideal for virtually any tripod, monopod, ball adapter, slider or other support rig. The S2 features a pan drag/lock lever, built-in bubble level, tilt drag/lock lever, quick release plate system (1/4" and 3/8" thread) and interchangeable pan bar handle with angular adjustment for convenient user control. The S2 weighs 0.4 kg and is able to carry a maximum load of 2.5 kg.